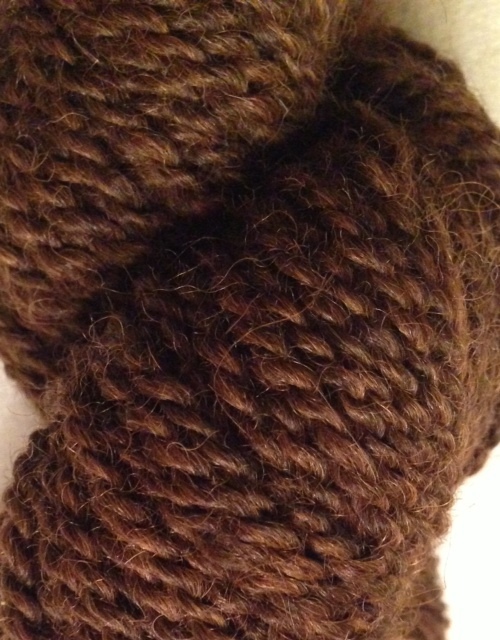 100% Alpaca Yarn. Processed from our animals. Unique one of a kind yarn produced from our alpacas. 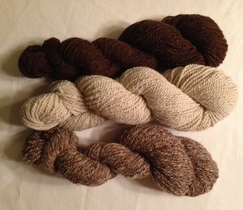 Brown/Black Tweed - This yarn is a combination of Catherine/Reepicheep and Grace/Marie. 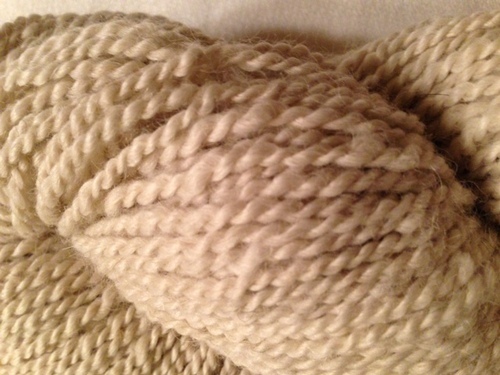 Their fleece has produced a beautiful, subtle tweed yarn. Ivory/Off White - This yarn is processed from Nikki and Eden, a mother/daughter pair, giving us a gorgeous off white yarn. Multi-Color - We wanted a unique yarn and we allowed our mill to surprise us with their design. 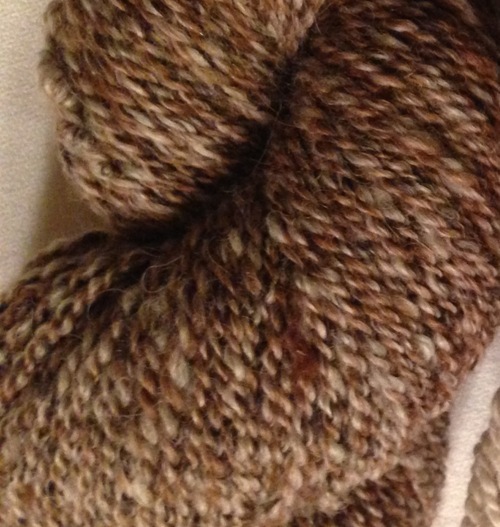 This yarn is a beautiful natural multi color with black, brown, white and as it has been spun it has blended to look like it also has some rose grey tinting. This yarn has everyone listed above with the addition of Odometer for an added bonus.